Scientists found that when air pollution keeps sunlight from reaching coral reefs underwater, coral growth can be stunted. Tiny particles in the air, like the kind released from coal plants and volcanoes scatter sunlight high in the atmosphere. Some of the light that would normally reach the surface of the earth gets bounced around in the clouds or reflected back into space, and less of it penetrates down through the water where corals live. 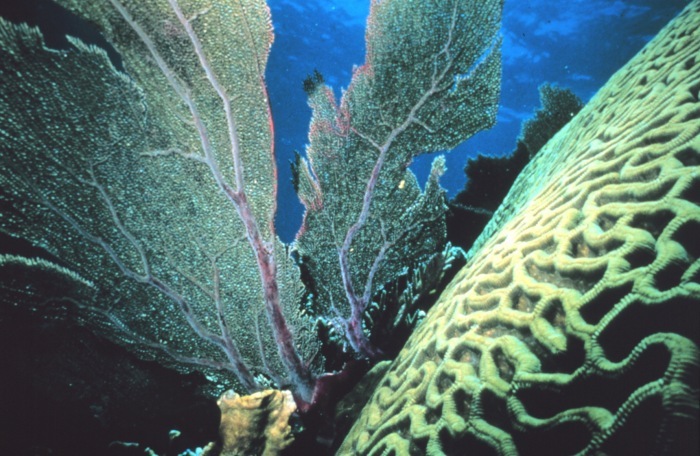 Coral reefs need sunlight because they get their nutrients and energy from the algae that live in their tissues. Algae are a form of aquatic plant, and even though they can be very, very small, they are photosynthesizers and need sunlight to survive. Less light = less algae = less coral. Conserve energy, reuse and recycle. Turn off lights and power strips when not in use. Try walking or riding a bike instead of taking a car. If you’re sitting a car waiting, turn it off. Open the windows instead of cranking up the A/C. Doing these few simple things may feel insignificant, but that’s the beauty of it; They’re easy to do and they work. Simple actions add up and they really do reduce emissions from power plants and vehicles. ← Bermuda Triangle–A Real-Life Triad?